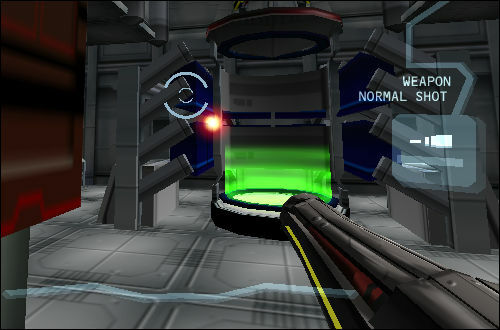 Another Bound is a freeware FPS which could be very difficult to pick up for non-Japanese speaking players. Use the W, A, S and D keys to control your suited protagonist. Hold the left mouse button to shoot, and press the space key to jump. Tap the F1 function key to display the location map. Recharge stations also double as save points, easily spotted by it's green glow.